MLW Chairs, LLC was established in 1979. The principal, Marvin Walker, has been in the international furniture market for over fifty years. MLW Chairs was created from our vast knowledge of the international furniture industry and experience with chair artisans from all over the world. The development of MLW Chairs has grown into one of the strongest and most creative sources of hand carved chair frames. Our rich sources in Italy, Spain, and the Orient provide the highest quality hand carved frames available. 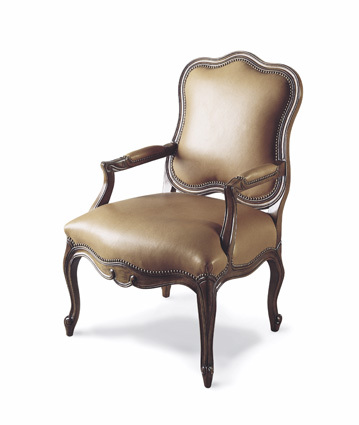 MLW Chairs specializes in unsurpassed service, and warehouses many items for immediate delivery. We will design and manufacture any frame based on your specifications and needs. MLW Chairs has expanded over the past 10 years into the contract industry utilizing our expertise of quality frame building and excellent service. Currently we produce a wide assortment of products for the contract, hotel, and healthcare industries including but not limited to chairs, ottomans, benches, sofas, chaise lounges, casegoods, occasional tables, nightstands, dressers, and metal furniture. We have the ability to turn a product from the design stage all the way to a delivered quality product that lasts the test of time. MLW Chairs is a service oriented company and was built on this foundation. We strive everyday to provide a good quality product at a competitive price without sacrificing the important needs of each individual client. We assist our clients wherever possible through a network of offices in all major countries throughout the world. The company is qualified to educate clients in the intricacies of importing; how to buy, ship, understand terminology, etc. Our strength comes from our vast knowledge of hand carved chair frames and sources that provide us with the inside edge, in which we bring to you, the customer.